Model Ships by Old Modern Handicrafts : Ship Ahoy! 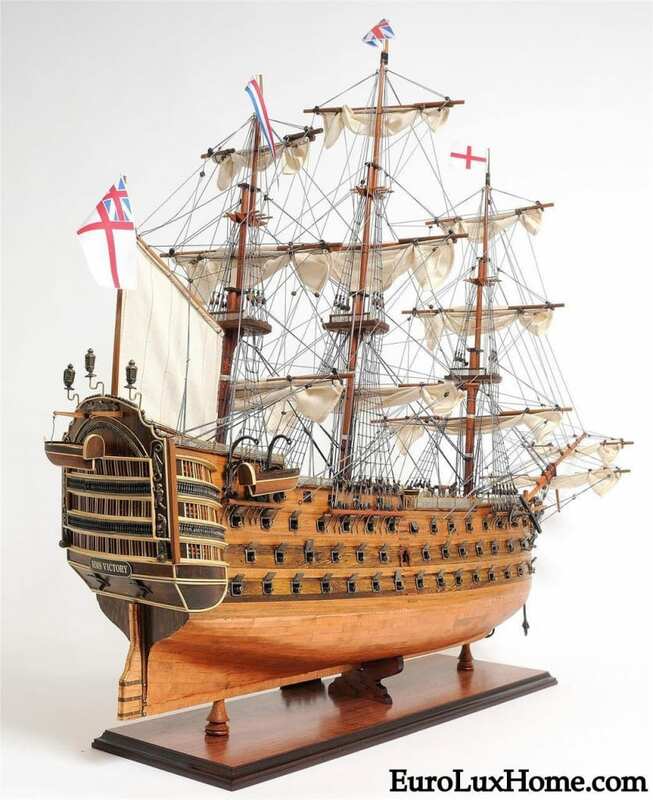 If you or any of the people in your life are sailors, boat lovers, historians, military collectors or lovers of the sea, you will want to know about the hand-crafted model ships we now stock from Old Modern Handicrafts. This is the USS Constitution…. isn’t she wonderful? 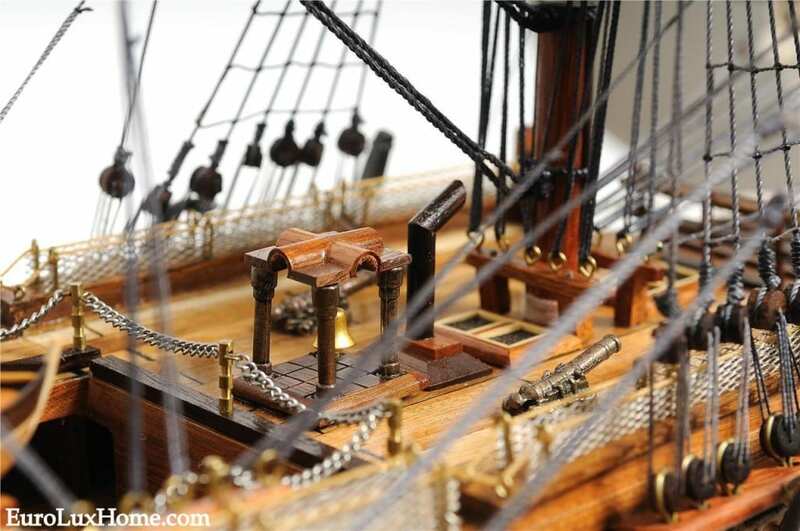 These high-quality Old Modern Handicrafts model ships are hand-built to scale using traditional techniques such as the old-school plank on frame or plank on bulk head methods. It can take the craftsmen hundreds of hours to build a ship. The Modern part of the Old Modern Handicrafts name is because, in combination with the hand-crafted methods, the company also uses the high technology of laser machines to replicate the ship details to the exact scale of the original. Some models are built to museum-quality level and some are exclusive editions with a unique serial number. Here’s a close up of the USS Constitution model ship, otherwise known as Old Ironsides. A legend in the War of 1812, the three-mast frigate had a hull that was 21 inches thick and Paul Revere forged the copper spikes and bolts that held the planks together. The Constitution is now a national landmark and museum, docked in Boston. This exceptional copper-bottomed ship is the HMS Victory, Admiral Horatio Nelson’s flagship at the 1805 Battle of Trafalgar. The three large masts are secured using advanced rigging and lines that are knotted and fastened by hand, while the hand-stitched rolled-up sails are made of fine linen. Here is a close up of the deck of the HMS Victory, including the metal cannons! Every detail is complete right down to the metal anchors and lanterns, a wooden rudder, and lifeboats. Other model ships include The Titanic, The Cutty Sark, Chinese junk boats, sailing boats, motor boats, and all kinds of other famous ships from around the world. This is the Queen Mary, a very jaunty and decorative cruise ship indeed! The Queen Mary took her maiden voyage in 1936, the flagship of the Cunard Line. The thousand foot passenger ship was built to the height of luxury and set a new standard for Transatlantic travel. She may look dignified and majestic, but Queen Mary was fast! During World War II, the Germans apparently offered a huge reward to anyone who could sink the ship because she was too speedy for their submarines to keep up with her! 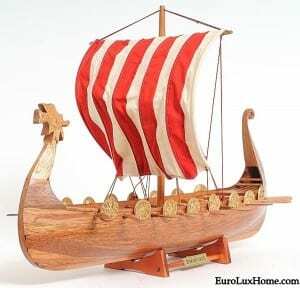 Other interesting model ships include this replica of the Drakkar Viking long boat, a classic boat used by the Vikings between the 7th and 10th centuries. This 25-inch model packs a punch with its striped sail, rows of shields along both sides, wooden oars and brass nameplate. The Drakkar, or Viking Longships, had a maximal speed of around 15 knots, and they were also known as ‘dragonships’ due to the carved dragon-shaped bow, as you can see here. 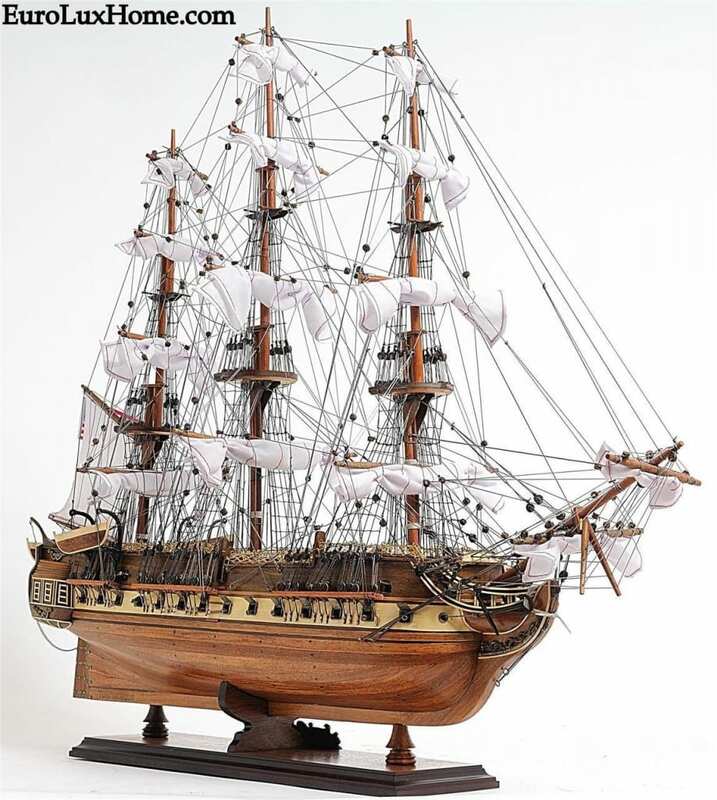 The Old Modern Handicrafts hand-crafted model ships are built with woods including rosewood, mahogany, teak and Western red cedar, and the metal fittings and details feature chrome, brass or cast metal. They are very good value for money for this very high quality. 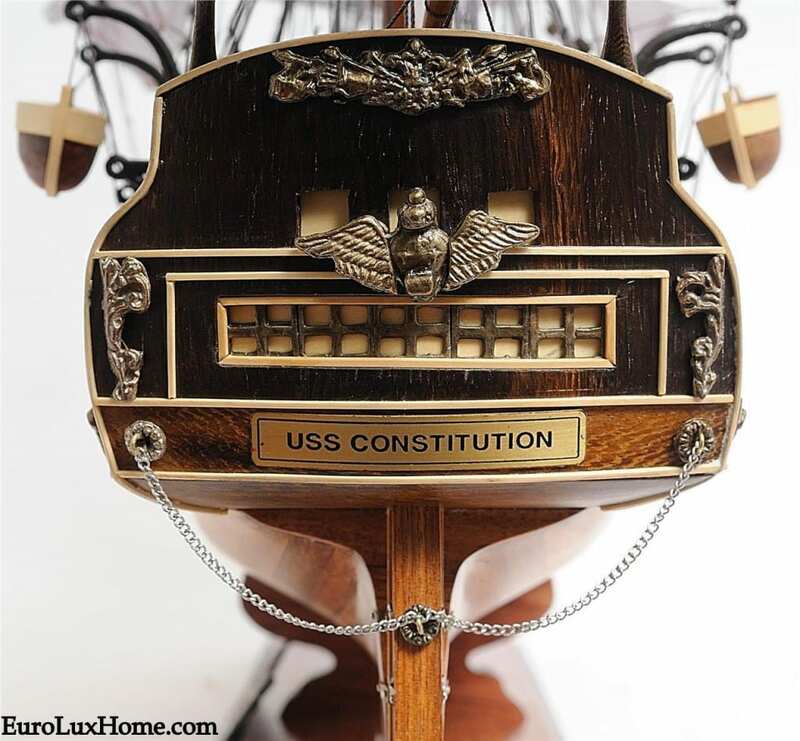 Each model ship listing on our website includes many photos of the details so you can see just how intricate and true to life the replicas are. If you have a coastal home or enjoy a nautical interior design scheme, the model ships are also a fabulous choice as decoration, as well as a great conversation starter when you have visitors. 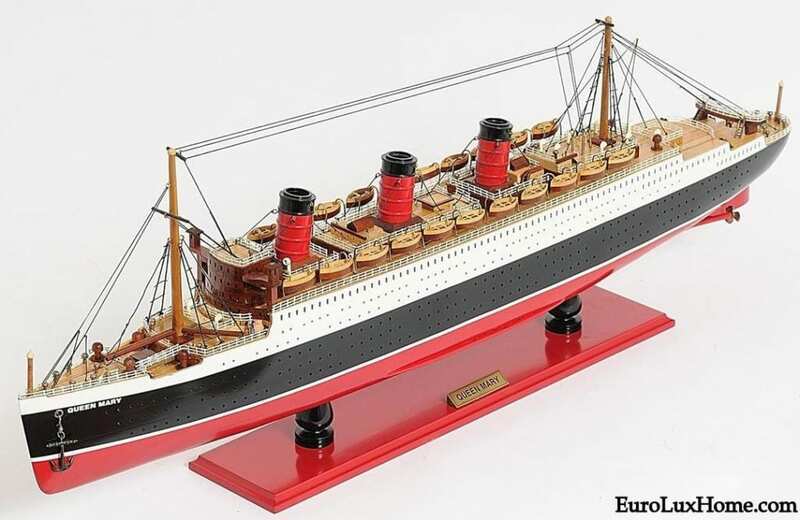 Find all the Old Modern Handicrafts model ships and other nautical accessories on our website. Ship ahoy! This entry was posted in News and tagged beach style, creative home decorating, expert craftsmanship, holiday gifts, home decor, model ship, nautical decor, Old Modern Handicrafts on June 28, 2018 by admin.